I thought I would put this page together to highlight some of the more common ingredients used in everyday Asian cooking. Although I say these are common ingredients, I know that they are not always easy to find at your local grocery store. In addition to a short description of each ingredient, you will find that the ingredients listed here are also "clickable", which will lead you to their Amazon.com page should you decide that you need to buy them. In addition, each recipe video on this website has (or will have) a similar clickable link at the bottom of the blog entry. I hope this page helps you. You have probably seen me use this bottle in many of my recipe videos. Golden Mountain seasoning sauce imported from Thailand adds delicious taste to Thai food. It is a soy based seasoning sauce, but it shouldn't be confused with a soy sauce. It is salty like soy sauce but it has a flavor all its own. It is slightly smoky and is a great all around seasoning sauce for most Asian recipes specific to the Southeast Asian region. It is made by fermenting soy beans and adding a little salt and sugar, and a little dried fish or dried seaweed as flavor enhancers. It is also high in protein, which means that it is a great ingredient to when used with vegetarian and vegan recipes. This sauce has been used for well over a century in Thailand, contributing a special flavor to Thai stir-fries and other dishes. A common seasoning for many Asian stir fry dishes. Ideal for all seasoning purposes. This is a truly premium brand, with decades of experience producing Thailand's finest stir-fry sauce. Traditionally, oyster sauce is made by slowly simmering oysters in water until the juices caramelize into a thick, brown, intensely flavorful sauce. Oyster sauce adds a savory flavour to many dishes, making it an ideal choice for flavouring meat and vegetables. The sauce is a staple for much Chinese family-style cooking. It is commonly used in noodle stir-fries, such as chow mein. It is also found in popular Chinese-American dishes such as beef with stir-fried vegetables. Oyster sauce can also be used as a topping for some dishes. It is commonly used in Cantonese, Thai, Vietnamese and Khmer cuisine. Vegetarian oyster sauce prepared from mushrooms, often oyster mushrooms or shiitake mushrooms. Very popular Squid Brand fish sauce from Thailand. Premium quality salted anchovy sauce for all your Thai dishes. Fish sauce is an amber-colored liquid extracted from the fermentation of fish with sea salt. It is used as a condiment in various cuisines. Fish sauce is a staple ingredient in numerous cultures in Southeast Asia and the coastal regions of East Asia, and features heavily in Burmese, Cambodian, Filipino, Thai, Lao and Vietnamese cuisines. It also was a major ingredient in ancient European cuisine, but is no longer commonly used in those regions. Southeast Asian fish sauce is often made from anchovies, salt and water, and is usually used in moderation because it is intensely flavoured. Anchovies and salt are arranged in wooden barrels to ferment and are slowly pressed, yielding the salty, fishy liquid. The salt extracts the liquid via osmosis. The base Thai red curry paste is traditionally made with a mortar and pestle, and remains moist throughout the preparation process. The red coloring derived from dry red spur chilies. The main ingredients include dried red chili peppers, garlic, shallots, galangal, shrimp paste, salt, kaffir lime peel, coriander root, coriander seeds, cumin seeds, peppercorns and lemongrass. Red curry is a popular Thai dish consisting of red curry paste cooked in coconut milk and added with meat; such as chicken, beef, pork, duck or shrimp, or vegetarian protein source such as tofu. Red curry paste itself is the core flavoring for a number of other dishes. Used to make various curry soups and stir fry dishes. Mae Ploy Brand is recognized in Thailand as a high quality export product with rich taste and authentic flavor. The name "green" curry derives from the color of the dish, which comes from green chilies. As this is a Thai curry based on coconut milk and fresh green chilies, the color comes out creamy mild green. Green curry paste is traditionally made by pounding in a mortar green chillies, shallots, garlic, galangal, lemongrass, kaffir lime peel, cilantro roots (coriander) and cumin seeds, white peppercorns, shrimp paste and salt. Yellow curry is one of three major kinds of Thai curry that are commonly found in Thai restaurants in the West. There are other curry types in Thai cuisine, several of which are yellow. This curry is richer and creamier than other Thai curries, since coconut cream is used in addition to coconut milk. This richer curry tends to tone down the overall spiciness of the dish, hence its popularity on menus outside of Thailand. The primary spices in kaeng kari are cumin, coriander, turmeric, fenugreek, garlic, salt, bay leaf, lemongrass, cayenne pepper, ginger, mace and cinnamon. Sometimes a touch of palm sugar or a similar sweetener will be added, depending on the sweetness of the coconut milk. Coconut milk is the liquid that comes from the grated meat of a mature coconut. It should not be confused with coconut water. The color and rich taste of coconut milk are attributed to its high oil content, most of which is saturated fat. 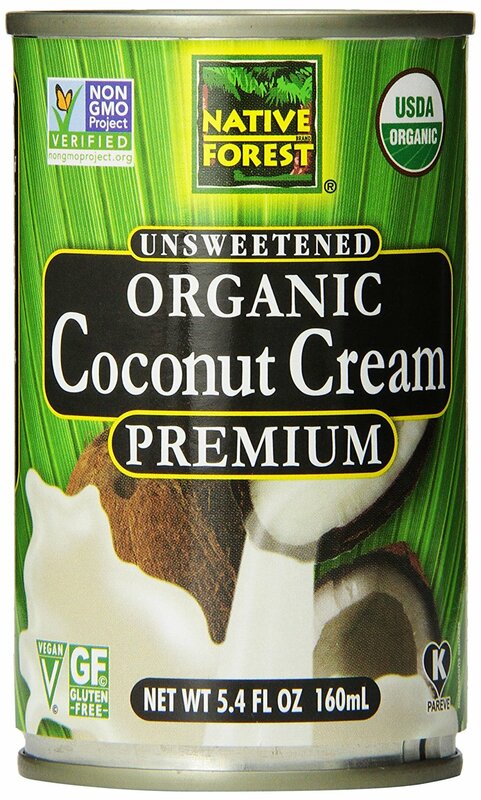 A staple of Thai, Indian and Caribbean cuisines, native forest classic organic coconut milk imparts rich and creamy goodness to wonderful regional dishes. In Thailand, devoted farmers are proud to have achieved organic certification of their traditional coconut crop. While organic coconuts are generally smaller than their conventional counterparts, organically managed trees are more robust and drought-resistant, and their soil is more rich and moisture retentive. Disclosure: We are not sponsored by any of the brands listed above and have not received any compensation for using or promoting these brands. However, we do earn a little revenue when you purchase the products through the links on this page. If you want to use the same items as we do, then please consider helping us out by clicking the links found here. The intent of this page is to inform our audience of the brands that we use and that work well for us and our needs. While these work for us, you are encouraged to do your own research and make choices based on your own needs.